One of my favorite SUV's on the market today is definitely the BMW X6M. With a 4.4liter twin turbo engine pushing 555 hp and 501lb's of torque, this vehicle sounds like a jet taking off when you push it hard. 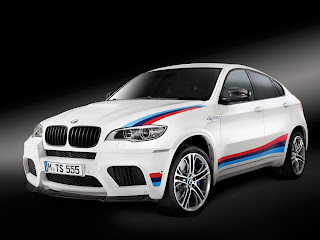 Well BMW has officially released this rare make of only 100 made and they are calling it the BMW X6M Design Edition. Now I don't know how you feel about the colors streaking across the whole car, but I love it, that's why I am blogging about it. The interior is superb and I can agree with the name they chose. Munich. BMW M GmbH has launched a new variant of the BMW X6 M in a limited edition of 100 cars. 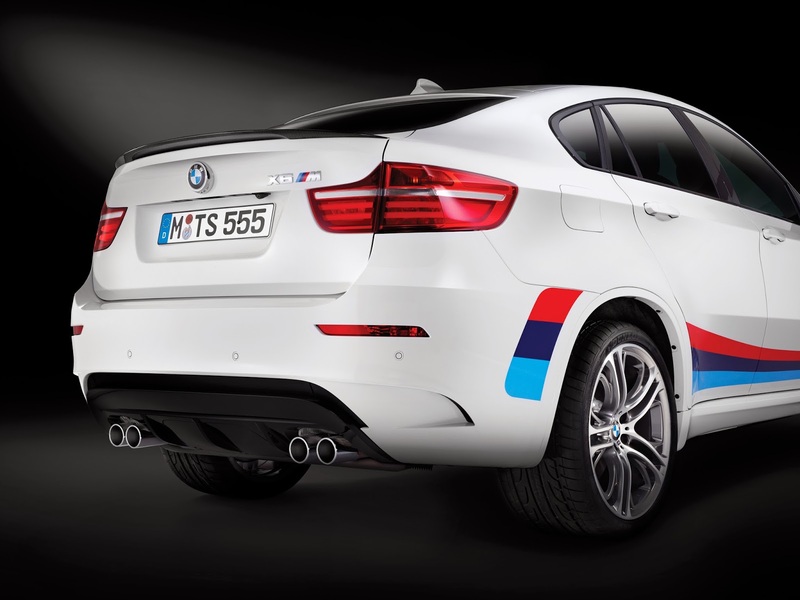 The exclusive BMW X6 M Design Edition boasts particularly sporty and visually striking elements both inside and out. The upgraded interior of the BMW X6 M Design Edition comes with full Merino leather, including a bicolour instrument panel in Black/Mugello Red with Mugello Red contrast stitching. Another beguiling feature fitted exclusively in the BMW X6 M Design Edition is the BMW Individual interior trim in Piano Black with an edition-specific badge. From the outside, the BMW X6 M Design Edition stands apart with its 21-inch M Performance light-alloy wheels in double-spoke design and carbon elements. The exterior paintwork, meanwhile, can be specified in Alpine White, Sapphire Black or Melbourne Red metallic. It all comes together to create an elegantly sporty blend of colours – in a combination available exclusively in the 100 examples of the BMW X6 M Design Edition that will leave the factory.